Reportedly there are over 30 companies in the race to develop self-driving cars and the implications for insurance companies can hardly be overstated. It is estimated that up to 94% of all accidents are caused by human error. If the promise of self-driving cars becomes reality, the auto insurance industry is in for a real game changer. Data from the Institute for Highway Safety (IIHS) and Highway Loss Data Institute (HLDI) already show a reduction in property damage liability and collision claims for cars equipped with forward-collision warning systems, especially those with automatic braking. This is not to say the need for insurance will be eliminated, but it will most certainly be changed. The risk of an accident cannot be completely removed because life is not totally predictable and automated systems can fail. There will still be a need for liability coverage, however over time the coverage could change as more responsibility for accidents (and insuring against them) shifts from drivers to vehicle manufacturers and suppliers. Comprehensive coverage will still be needed for losses due to theft or for physical damage from weather-related causes. However, auto insurance as a whole may become significantly cheaper if the potentially higher costs to repair or replace damaged vehicles is more than offset by the lower accident frequency rate. Claims for vehicle-related workers’ compensation would also drop as will the share of healthcare and disability insurance costs related to auto accidents. Underwriting standards may also need adjusting. The number and kind of accidents an applicant has had, the miles he or she expects to drive and where the car is garaged, will still apply, but the make, model and style of car may assume a greater importance. Assumptions regarding repair costs may also need adjusting. While the number of accidents is expected to drop dramatically as more crash avoidance features are incorporated into vehicles, the cost of replacing damaged parts could increase because of the complexity of the components. It is not yet clear whether the reduction in the frequency of crashes will lead to a reduction in the cost of crashes overall. Despite industry hype, the shift to driverless vehicles will not happen overnight. Some people enjoy driving and do not want control taken from them. They may resist the move to complete automation. Privacy concerns may scare off others. Self-driving cars by their very nature are reliant on sophisticated, real-time data collection and there has been no commitment by car manufacturers this information will only be used for vehicle operation. Monetizing the data for marketing and other purposes could prove too great a temptation to resist. Despite these challenges, the race to the future is on. 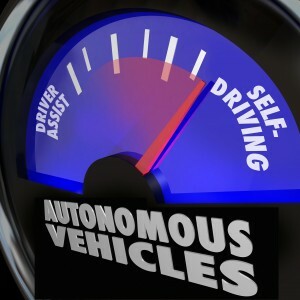 It is expected that self-driving cars will eventually become the norm. Estimates vary anywhere from by 2020 to 2050. Forward-looking insurers are already thinking through the implications for themselves and their policyholders. We at Bodden Partners are actively strategizing how to market to the insurance buyer of the future. If you are interested in learning more about our consumer insights, contact us for a free consultation.